Why do half of all marriages end in divorce today? What is missing from marital relationships? 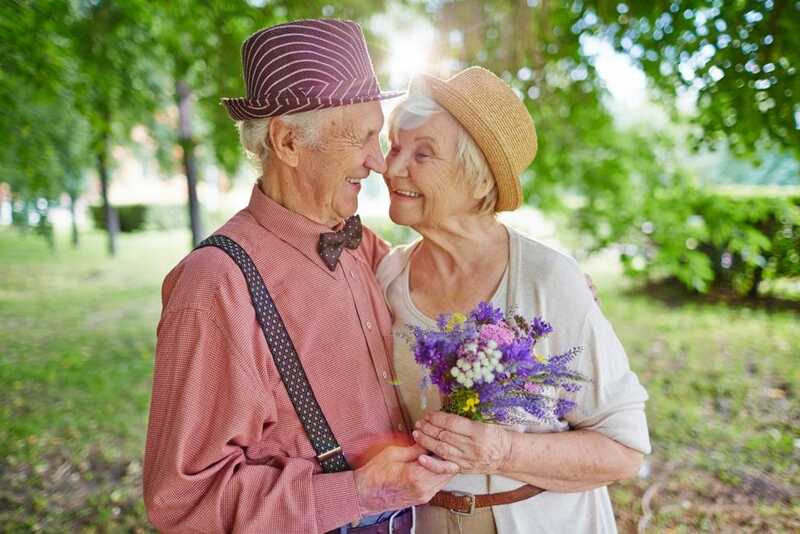 How can we improve our own marriages and ensure that they are a blessing? 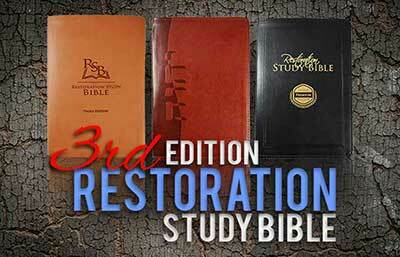 In this booklet we offer practical answers to these questions and much more from the pages of the Bible. 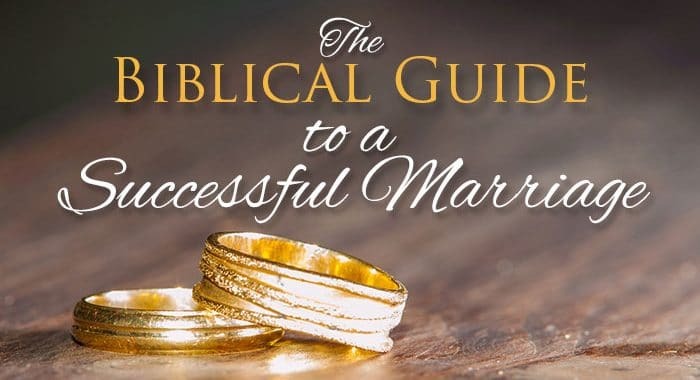 It’s our hope that this guide will strengthen your own marriage and that you in turn would be an example and blessing to others. If married, we encourage both you and your spouse to read this with a desire to better your marriage. Stop and discuss each section and focus on ways to improve your current relationship. The information in this publication will benefit all marriages. Yahweh recognized a problem with the creation of Adam, the first man. While he created male and female in the animal kingdom, Adam was all alone. So He created for Adam a “help meet.” Let’s begin by discussing what it means to respect divine order. We see this principle in Genesis 2:18: “And Yahweh Elohim said, It is not good that the man should be alone; I will make him a help meet for him.” The phrase “help meet” comes from two Hebrew words. The word “help” is the Hebrew ezer and refers to an aid, while the word “meet” derives from the Hebrew neged, meaning a counterpart or mate. A “help meet” refers to an aid or helper as a counterpart to the other. In addition to being a help to Adam, Eve also served to balance Adam. Nobody knows you better than your spouse. A spouse knows your strengths and also your faults, and because of this they normally help you become a better and more balanced person. If the relationship in a marriage is toxic, the spouse can also be a detriment. It’s also important to realize that while Eve was created as a helpmate to Adam, Adam was also a helpmate to Eve. In marriage it’s never a one-way street; the principles we find in our Father’s Word for a healthy marriage apply to both the husband and wife. This is not to say, however, that the husband and wife share the same authority. Here the Bible records Eve’s punishment for eating of the forbidden fruit. Yahweh says she would give birth in pain and that her desire would be to her husband and that he would rule over her. The word “rule” comes from the Hebrew mashal and means “to rule, to have dominion, to reign,” Brown-Driver-Briggs Hebrew and English Lexicon. So the husband is over the wife in authority. Now even though this goes against the grain of today’s liberal movement, it is the inspired truth from our Heavenly Father. It wasn’t too long ago when most spouses understood and embraced this principle. A balanced approach is essential. The husband is the head or final authority in the marriage. He should be shown respect by his wife and children. However, this authority does not mean that he should dictate, make unreasonable demands or be abusive to the family. As we will show, the husband’s position parallels the Messiah’s over the assembly. While the assembly follows Yahshua’s lead, Yahshua was never unreasonable or abusive to the assembly, and neither should husbands be to their families. It’s important to keep in mind that while the husband is the scriptural head of the wife, the husband and wife should make decisions together. Husband and wife form a partnership. For a marriage to succeed the two must work together and find unity. For example, before making any large purchases the husband and wife should discuss and agree on it together. Just because the man is the scriptural head within the marriage covenant doesn’t mean he should make important decisions in a vacuum. What happens if the husband abuses his role as the authority? What will be the result if he dictates important decisions within the marriage without first consulting his wife? He will create unnecessary strife and animosity within that marriage. What about those moments when the husband and wife disagree and may not be able to find common ground? The husband must then consider all viewpoints, especially from his wife, and make a decision that’s best for the family. In turn the wife should respect that decision. The Apostle Paul in the fifth chapter of Ephesians compares the marriage covenant to Yahshua the Messiah and the assembly. He writes, “Wives, submit yourselves unto your own husbands, as unto the Master. For the husband is the head of the wife, even as Messiah is the head of the assembly: and he is the saviour of the body. Therefore as the assembly is subject unto Messiah, so let the wives be to their own husbands in everything,” verses 22-24. Paul explains the parallel between marriage and Yahshua’s position with the assembly. The husband represents the Messiah and the wife the assembly. As the assembly is to obey and follow the Messiah the wife must do the same with her husband. There are two caveats here. Under no circumstance does the Bible permit abuse. Separation is an option where abuse is occurring. Also, as believers we must always obey Yahweh first. For example, a Believer wife must not break the Sabbath, even if pressured by her husband. Now as the wife is to obey her husband, the husband is to emulate Yahshua the Messiah. Yahshua never abused the assembly. On the contrary, He gave everything for the assembly, including His own life. The husband is to follow Yahshua in that. His decisions should never be made out of selfish desires that will hurt the family. He must consider himself last and the family first. Husbands should remember that when someone is given authority they are judged more harshly by Yahweh. Biblically the assembly is to show double honor to ministers, but James also writes that ministers will receive the heavier condemnation. The same principle applies to the husband. For a marriage to be successful it’s important that the husband and wife respect this divine order. It was inspired from Yahweh and is the pattern that believers are to follow. Another key to a successful marriage is righteous communication. Scripture has much to say about how we should be communicating in our relationships. James 1:19 states, “Wherefore, my beloved brethren, let every man be swift to hear, slow to speak, slow to wrath.” Do you realize that the majority of marital arguments could be resolved if this were followed? A man in the faith once exemplified this passage. He was always somewhat slow in his response. It wasn’t his intelligence that made him think before answering, he was slow on purpose. Before he said anything he thought carefully about his words. How thoughtful are we with our words; do we think before we say something or are we rash in our responses? While this principle is important for all relationships, it’s especially important in marriage. Many marriages end in divorce not because of large issues but because of small disagreements that accumulate over time. If all spouses followed this standard they would save themselves a lot of unnecessary grief. Let us remember to be quick to listen and slow to speak. As the saying goes, Yahweh gave us two ears and only one mouth. Honesty in marriage is a moral obligation that we have not only as spouses, but also as believers. When trust is broken, relationships will often not succeed. While this principle is important to all relationships, it’s crucial within marriage. One of the hardest trials to overcome in marriage is distrust between husband and wife. According to an ABC News article, “About one in five adults in monogamous relationships, or 22 percent, have cheated on their current partner. The rate is even higher among married men. And nearly half of people admit to being unfaithful at some point in their lives.” Sadly, many of these relationships end in divorce. Often it’s not the actual adultery that causes the divorce but the long series of lies and deceit. If as a spouse we’ve done something wrong the worst thing we can do is to conceal it with lies and deception. Where there’s trust and honesty in a relationship most problems can be resolved. Now keep in mind that while resolution may be possible it may not always be easy or happen quickly. Depending on the infraction it may take time to restore trust. Believers should always exercise compassion and be willing to forgive if sincere remorse is forthcoming. Our Heavenly Father forgave us by giving His only Son as a sacrifice for our sins when we were yet sinners. We should try to speak when the circumstance and opportunity are right. Anyone who’s been married for any length of time knows there are days when certain discussions should be avoided. If you come home and realize that your spouse has had a bad day, it isn’t the best time to discuss something that may be contentious. Look for the right opportunity. We should also consider the words we use. There’s more than one way to say anything. We should avoid words that may cause greater aggravation or intensify the situation. Instead, we should be considerate and thoughtful in our choice of words. Choosing the right words can make all the difference in our relationships. We should also be cognizant of our tone and body language. We can say the same words in different ways just by our gestures and expressions. According to author Albert Mehrabian in his book Silent Messages, 55 percent of communication is expressed through body language and 38 percent is through our tone. While there is debate on Mehrabian’s conclusion, there is no argument that much of our communication is nonverbal. For this reason we should be especially careful in our physical stance and tone when communicating. As a side note, this is often why email and text messaging prove problematic. Because the recipient is unable to see nonverbal cues he or she often makes false assumptions. The message may be seen as combative when this was not the sender’s intent. Another key to a successful marriage is mutual love and respect. The Apostle Paul in 1Corinthians 13 provides one of the best definitions of love. He writes, “Love is patient, love is kind. It does not envy, it does not boast, it is not proud. It is not rude, it is not self-seeking, it is not easily angered, it keeps no record of wrongs…,” verses 4-5a, NIV. When most think of love they think of an emotion. The fact is love is much more than an emotion. It’s an action; it’s what we do as spouses. What are some of the specific actions of love mentioned here by Paul? He says that love is patient. Whenever two people come together in a relationship there will be disagreements. Maybe you’re punctual and your spouse is habitually late; maybe you’re a saver and your spouse a spender. There are countless other reasons that patience is needed for the relationship to succeed. Paul also states that love is kind. This word comes from the Greek chresteuomai and means “to show oneself mild, to be kind, or to use kindness,” Thayer’s Greek Lexicon. As with communication in general, many disputes can be resolved if we simply show caring and compassion for others. What’s sad is that many people will often show more compassion to strangers than to their own spouses. Because many spouses feel a sense of empowerment and are less concerned about retribution from their mates, they often show them less respect. Our spouses should also be our best friend and we should never feel justified doing them wrong. We should never use our position to abuse those we love most. Remember that the relationship between a husband and wife mirrors that between Yahshua and the assembly. If the husband feels there’s no need to show compassion to his wife he should reconsider how Yahshua showed compassion toward the assembly. The two run parallel. Paul goes on to say that love does not envy. Believe it or not, spouses can resent one another. If the wife has a better job the husband might be envious. In some cases this type of envy can produce contention. The wife might be envious because she must work outside the home, unlike her next-door neighbor. There are many other ways that resentment can creep into a marriage. Spouses must be cognizant of this and realize that envy is not an attribute of love. Paul also says that love is not proud. Pride might be the single most destructive attribute in the history of mankind. It was this attribute that caused Satan the devil to sin and fall from grace. One problem with a prideful person is they are often blinded by their own mistakes or shortcomings. Therefore they never repent or change. For a marriage to be successful both spouses must be willing to be humble and sacrifice for the other. This means that they must temper their pride. Solomon in Proverbs 11 said, “When pride cometh, then cometh shame: but with the lowly is wisdom.” It doesn’t matter what the situation is, when pride controls the outcome, the outcome will not be positive. The opposite of pride is humility. When we show humility there’s nothing that can’t be resolved. True humility will look first to the needs of others, including your spouse. Paul tells us that scriptural love is not easily angered. When anger is expressed in a marriage it puts the entire family on edge. It causes anxiety, hatred, depression, and contempt. And believers are not exempt or immune from this problem. If you’re struggling with anger we encourage you to seek help. A marriage will never be successful so long as there’s strife and contempt in that relationship. Paul closes here by saying that love keeps no record of wrongs. No matter who’s guilty, it’s important to remember that when we say we forgive we must also let go. Holding on to grudges and focusing on past mistakes will not cultivate a successful marriage. Love is not simply an emotion but is also an outward expression of our concern and compassion for others. This includes forgiveness! Paul in Ephesians 5:25 provides another example of what it means to love our spouse. However, this time it writes specifically to husbands. He states, “Husbands, love your wives, even as Messiah also loved the assembly, and gave himself for it; That he might sanctify and cleanse it with the washing of water by the word, That he might present it to himself a glorious assembly, not having spot, or wrinkle, or any such thing; but that it should be holy and without blemish. So ought men to love their wives as their own bodies. He that loveth his wife loveth himself. For no man ever yet hated his own flesh; but nourisheth and cherisheth it, even as the Master the assembly:” As husbands, how are we to show love to our spouse? It’s simple, we’re to emulate Yahshua the Messiah. As Yahshua sacrificed and gave all for the assembly, husbands must be willing to do the same for their wives. How did Yahshua sacrifice for the assembly? 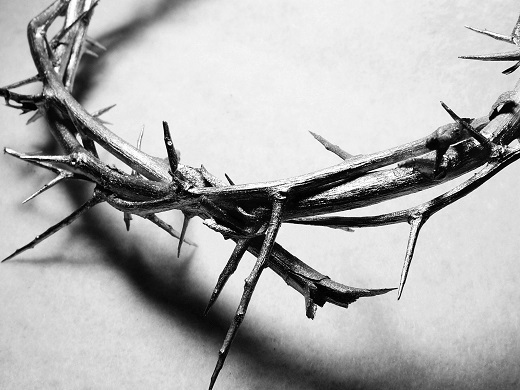 First, and most importantly, He gave His life as a ransom for our sins. As Yahshua Himself noted in John 15:13, there’s no greater love than sacrificing your own life for another. Beyond this He also chose a life of simplicity; some might even say poverty. In Luke 9:58 Yahshua said, “…Foxes have holes, and birds of the air have nests; but the Son of man hath not where to lay his head.” As Yahshua sacrificed everything for the assembly, husbands have a scriptural duty to sacrifice for their wives and family. When Paul says that husbands are to love their wives as Yahshua loved the assembly, this is the love of which he’s speaking. Everything our Savior did was motivated for the betterment of the assembly. It wasn’t just the sacrificing of His life, but also His willingness to humble Himself and become a servant. Yahshua’s entire life is an example of what it means to sacrifice for another. As husbands, do we make decisions that benefit the family? For example: Are we providing financially? Are we providing emotionally? And most importantly, are we providing spiritually? The Bible says that if a man doesn’t work and provide for his family that he’s worse than an infidel or unbeliever. Most men understand and embrace the concept of physically protecting their family. Just as husbands are to be physically courageous for their families, they must also be emotionally courageous. Even though many wives are strong and resilient, there are times in a marriage where the husband must show emotional strength. So in addition to being physically strong, husbands must also be emotionally supportive. For a lot of men this is not easy, but Yahshua was emotionally strong and so should husbands be for their families. For example, if the wife is going through some emotional trauma with a friend or family member, the husband must be emotionally strong in that situation. Most importantly, men must be spiritually strong for their spouse and family. Now what does this mean? Husbands should not be controlling or domineering, but live the morals and principles we find in Scripture and be that spiritual compass in the storm of life. There are situations in life where it’s easy to compromise; husbands, though, must have the spiritual strength and courage to do the right thing, even when it’s hard thing to do. What does it mean to be bitter? The Thayer’s Greek Lexicon defines this word as “to embitter, to exasperate, to render angry or indignant, or to be irritated.” We’re not to purposely anger or exasperate our spouse. When this is done it often results in resentment. The Jamieson, Fausset, and Brown Commentary states, “Many polite abroad are rude at home, because they are not afraid there.” Sadly, this describes a lot of people, including believers. There are many spouses that behave one way outside the home and another way inside the home. As already discussed, many feel because of their position they are justified or they have nothing to lose being less supportive with their spouse. We’re not to take advantage of the relationship we have with our mate. Even though many struggle with this, we should strive to treat our spouse better than those in the world. One way in which we do this is by not using them as emotional punching bags. This includes showing consideration and respect, as we find in 1Peter 3:7. Peter says there, “Likewise, ye husbands, dwell with them according to knowledge, giving honour unto the wife, as unto the weaker vessel, and as being heirs together of the grace of life; that your prayers be not hindered.” Peter says here that we should use “knowledge” in our relationships. This word is from the Greek gnosis and refers to the “act of knowing.” Here, gnosis refers to the knowledge of Yahweh’s Word. So in our marriage we should be using the gnosis or knowledge of our Father’s Word to guide that marriage. He also mentions here “honour.” This word is from the Greek time. The Thayer’s Greek Lexicon defines it as, “…honor which belongs or is shown to one, including deference and reverence.” Peter conveys that husbands are to show respect and reverence to their wives. The same is true for ladies. So what does it mean to “respect” your spouse? 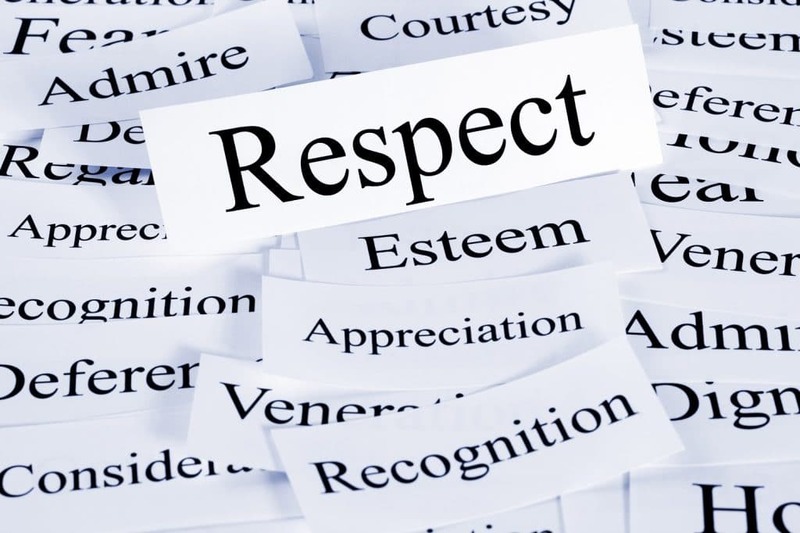 Here’s how the Merriam Webster Dictionary defines respect: (1) a feeling of admiring someone or something that is good, valuable, important, (2) a feeling or understanding that someone or something is important, serious, and should be treated in an appropriate way, and (3) a particular way of thinking about or looking at something. Do we admire our spouse’s qualities and character? Do we see him or her as being a person of integrity? Do we view them as supportive to us and the family? Do we see them as willing to sacrifice for the good of others? Do we view them exhibiting the attributes shown in our Savior, Yahshua? Hopefully we see our spouses in more of a positive light. What about those who see their spouses in a negative light? While this may not always be easy, as husbands and wives we should still try to show our spouses a level of honor and respect. Hopefully by setting an example they will see our good works and be willing to change. Peter says here that husbands are to honor their wives, as unto the weaker vessel. Weaker here does not mean inferior. Marriage is about using our strengths to help and support the other. Another key to a great marriage is forgiveness and a spirit of peace. It doesn’t matter who we are or how long we’ve been married, there’s no such thing as a perfect marriage. Every marriage has ups and downs. How then do we achieve peace in our relationships? The most important ingredient is forgiveness. Paul in Ephesians 4:26 says, “Be ye angry, and sin not: let not the sun go down upon your wrath:” Even though this is a simple passage, those married know it’s not always easy to follow. Notice the first thing Paul says here, “…be not angry.” If we’re going to forgive we must first let go of our own anger and animosity. As spouses, it’s so important that we understand this concept. Even though the focus of this booklet is marriage, this principle applies to all relationships. As believers, we should never allow bitterness to take root. This is why Paul says not to go to bed angry. If we have a grievance with our spouse, we’re to resolve it beforehand. What about those who struggle with conflict? There are some who will do almost anything to avoid contention. In most cases, though, conflict does not resolve itself. Most often when conflict is ignored it only becomes worse. It’s important that we develop strategies and ways of resolving conflict in our relationships. When speaking about forgiveness and a spirit of peace it’s important that we’re cognizant also of our speech. The fourth chapter of Ephesians reads, “Let no corrupt communication proceed out of your mouth, but that which is good to the use of edifying, that it may minister grace unto the hearers. And grieve not the holy Spirit of Yahweh, whereby ye are sealed unto the day of redemption. Let all bitterness, and wrath, and anger, and clamour, and evil speaking, be put away from you, with all malice: And be ye kind one to another, tenderhearted, forgiving one another, even as Yahweh for Messiah’s sake hath forgiven you,” verses 29-32. The word “corrupt” comes from the Greek sapros and literally means, “rotten or worthless.” Thayer’s Greek Lexicon defines sapros as, “of poor quality, bad, unfit for use, or worthless.” As a spouse are we guilty of sapros, of speech that is worthless, bad, or unfit to use? As spouses one of the worst habits we can develop is using speech that tears down and causes unnecessary grief. Paul goes on to say that our speech should be “edifying.” This word comes from the Greek oikodome and refers to a structure or building. Thayer’s Greek Lexicon also states that it metaphorically applies “…to the act of one who promotes another’s growth in wisdom, piety, happiness, or holiness.” Think about this definition and ask yourself, does my speech promote wisdom, piety, happiness, and holiness? If the answer is no then you’re falling short as a spouse. Our words should not tear down but build up. How often do we criticize rather than compliment our spouse? While feedback is inevitable in a marriage, we should not forget to express praise and admiration. And remember, sometimes it’s the small praises that mean the most. Paul goes on to say that we must let go of all bitterness. The word “bitterness” comes from the Greek pikria and means poison or hatred. When we are patient we show right discretion and wisdom. What do we show when we exhibit anger or animosity toward our spouse? We show ourselves to be fools. This passage also confirms that there’s wisdom in being patient or showing compassion and a glory in overlooking a transgression or offense. The best model of forgiveness is Yahweh’s forgiveness of us. Paul in Romans 5:8 writes, “But Elohim commends his love toward us, in that, while we were yet sinners, Messiah died for us.” Think about the depth of this statement. Yahweh sacrificed His Son to a people who were sinners, who were unworthy and undeserving. If our Father in heaven can forgive our sins through the sacrifice of His only begotten son, surely we can forgive one another. Forgiveness is not only an attribute that we must exhibit as believers, but also one that’s essential in a marriage. If we don’t have compassion to forgive our spouse then we will never achieve tranquility in our marriage. Another key to a successful marriage is respecting differences. Even though the Bible says that the husband and wife are one, the reality is they are still two sindividuals, oftentimes with differing opinions, personalities, and world views. Husband and wife are to be one. The word “one” comes from the Hebrew echad. Strong’s defines this word as to be “united.” Interestingly, this is the same word used in the Shema, Deuteronomy 6:4, which says, “Yahweh our Elohim is one.” In the example of marriage, it refers to the cohesion of the husband and wife. Even though they are two persons they are united as one in holy matrimony. Now even though a married couple are “one,” they are also two people with sometimes alternative viewpoints. We deal with these idiosyncrasies through mutual respect. There’s a common saying about marriage, “Women marry men hoping they’ll change. Men marry women hoping they won’t.” Even though as spouses we influence one another, seldom do we completely change the other. Now that’s not to say people can’t or shouldn’t change. As believers we are to always seek to emulate and follow the example of our Savior, Yahshua the Messiah. Married or not, poor behavior is never okay as disciples of the Messiah. As spouses we should always be seeking to be a better person. It should be our goal to improve ourselves, not only for us but also for our spouse. For example, if we’re argumentative, quicktempered, uncompassionate, or have some other shortcoming, we should strive to overcome those negative attributes for our good and the good of our spouse. Here are some real life scenarios that you and your spouse might be dealing with as they relate to differences. Maybe you’re an extrovert and your spouse an introvert. Maybe you’re assertive and your spouse laidback. Maybe you’re a saver and your spouse a spender. Maybe you’re one to avoid conflict and your spouse prefers to resolve conflict. The fact is, there are no two people completely alike and for that reason we must learn how to work within these differences. The best way to manage these idiosyncrasies is learning how to communicate. Just as different forms of discipline work better for certain children, people respond differently to different forms of communication. As a spouse, we must learn how to communicate that is effective within our marriage. Solomon is showing that there’s strength in numbers. This same concept also applies to differences between spouses. One of the benefits of marriage is that normally we become a better person through our spouse. In part, this doesn’t happen because you’re the same, but because you’re different. This same concept is also true for an assembly. It’s the strengths and talents of all the members of an assembly that make that body strong and a blessing. Instead of viewing these unique traits as negative, we should take a step back and consider the positive. Paul’s referring here to the marital or conjugal duties within a marriage. He confirms that as a spouse we don’t have power over our own bodies. Assuming there is no uncleanness or other biblical constraints, neither the husband nor wife can deny the other of their desire for intimacy. To this point, Adam Clarke writes, “Her person belongs to her husband; her husband’s person belongs to her: neither of them has any authority to refuse what the other has a matrimonial right to demand” (Adam Clarke’s Commentary, 1Cor. 7:4). He goes on to say that the husband or wife is not to defraud one another, except they agree upon a time for fasting and prayer. Paul reiterates here that spouses cannot deny one another of their conjugal rights unless both spouses mutually agree to abstain for a set time. As there is a need for emotional support there is also a need for intimacy within marriage. When this is neglected it can often lead to frustration by one or both spouses and for some, separation or even divorce. According to some surveys, a lack of intimacy is one of the top ten reasons for divorce. So when it comes to the conjugal duties of marriage, a husband and wife must not neglect the other. While our culture has turned sexual relations into something perverse, within the marital covenant it is beautiful and not to be ashamed of. Our Heavenly Father created intimacy within marriage and for that reason it is sacred or set apart. Because marriage is consecrated we must honor our commitment to our spouse by remaining faithful. This is so important to Yahweh that He included “Thou shalt not commit adultery” within the Ten Commandments. The word “adultery” comes from the word na’aph, which is a primitive root in the Hebrew language, meaning “to commit adultery.” Metaphorically, it can also mean to apostatize. In the framework of marriage it means to have unlawful sexual relations with anyone other than your spouse. Marriage is a holy union that was established by our Father Yahweh and is also the basic building block of a culture. Since it’s both a sacred and critical institution, it’s essential that we remain true to the commitment we make. We need only to examine our culture to realize what happens when marriage is compromised. When fathers and mothers leave the home and children are without both parents it impacts those children in many negative ways. For example, consider the following facts from the National Fatherhood Initiative: “According to the U.S. Census Bureau, 24 million children in America – one out of every three – live in biological father-absent homes. Nine in ten American parents agree that this is a ‘crisis.’ “In a study examining father involvement with 134 children of adolescent mothers over the first 10 years of life, researchers found that father-child contact was associated with better socio-emotional and academic functioning. The results indicated that children with more involved fathers experienced fewer behavioral problems and scored higher on reading achievement. This study showed the significance of the role of fathers in the lives of at-risk children, even in case of nonresident fathers. As a culture there’s no denying we have a crisis with marriage and as a result children are suffering. Because they are the future, this is a trend we should be very concerned about. Many of the social problems we havein this nation go back to the upheaval we saw during late 1960s and 70s. Those decades changed this nation in many ways, and not for the positive. Years ago it was assumed that adultery was committed by mostly men but today this is no longer true. While the percentage is still higher for men, women are not far behind. This is a major indicator showing the collapse of today’s family. It’s a statistical fact that a large portion of marriages never recover from infidelity. This is why we find many passages speaking about this sin and the need to remain faithful. The author of Hebrews writes: “Marriage should be honored by all, and the marriage bed kept pure, for [Yahweh] will judge the adulterer and all the sexually immoral,” Hebrews 13:4, NIV. There are many lessons to consider here. Marriage was established by our Father Yahweh as a divine union between one man and one woman for life. It’s a sacred bond we must not break. The word “honored” here is from the Greek timios. Strong’s defines this word as something that is “esteemed or beloved.” When we esteem something or something is beloved we protect and cherish it. Besides our commitment that we make at baptism, nothing means more and matters more in this life than our marital pledge. When it says to keep the marriage bed pure, Yahweh is simply saying to remain faithful to our spouse. Again, there’s a reason this command is part of the Ten Commandments. Those who break this trust will be judged by Yahweh Himself. The fact is, most people never think about the impact of sin. In the case of adultery, not only does this most often cause division and separation between you and your spouse, but also between you and your children. The sin of adultery impacts more than the adulterer. The innocent spouse and children suffer tremendously when marital vows are broken, often more than the one guilty of the infraction. This is why our Heavenly Father is so adamant about remaining faithful to our commitment. The last point to consider is what we call, “Till death do us part.” In Malachi 2:16 we find how Yahweh views divorce. The NIV renders it, “I hate divorce.” This word “hate” is from the Hebrew sane’. According to the Vine’s Expository Dictionary of Old Testament Words, this word represents an “intense hatred.” This is how our Father in heaven views divorce. Why do you suppose He has such disgust for divorce? First, He was the one who established marriage as a sacred lifelong union between one man and one woman. Second, He knows and understands the impact of divorce and what it does to a family. And third, marriage is a blueprint for the relationship we have with Him through His Son. It’s for these reasons that He abhors divorce. Marriage is a lifelong sacred union between one man and one woman. We see confirmation for this not only in the Old Testament but also in the New. In Matthew 19:5-6 Yahshua said. “…For this cause shall a man leave father and mother, and shall cleave to his wife: and they twain shall be one flesh. Wherefore they are no more twain, but one flesh. 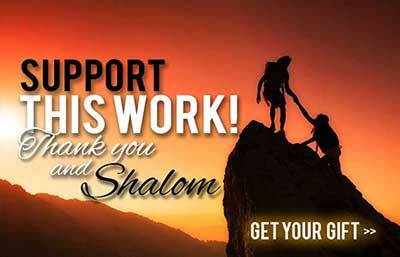 What therefore Elohim hath joined together, let not man put asunder.” This is Yahshua’s quotation of Genesis 2:24. It is one of the most important statements regarding marriage. Our Savior confirms here that when we commit ourselves in marriage there’s no turning back. In this way marriage is similar to baptism; once we commit to our Savior through baptism there’s no going back on our promise. For more information on divorce and remarriage, including answers to many misunderstood passages, see our booklet: Restore the Lock in Wedlock. order is ignored, couples suffer from competing views without a biblical process to resolve them. Righteous communication. There is perhaps nothing greater in a marriage than how we communicate with one another. Righteous communication occurs when we use language that promotes love and peace within our marriage. This includes both our verbal and nonverbal communication. Mutual love and respect. Even though there is a divine order within marriage, it is incumbent by both spouses to show mutual love and respect. If it is missing then that marriage will not be blessed. This will also lead to conflict and frustration by one or both spouses. Forgiveness and a spirit of peace. This is a key ingredient in all relationships, especially within marriage. Forgiveness includes not only letting go of any personal hatred or animosity, but also reconciliation with the person with whom we have the conflict. Respecting differences. Because no two people are completely alike, both will face competing and differing views within marriage. It’s important to learn how to manage and respond to these differences. While differing opinions can create conflict, they can also be a strength. Romance and intimacy. This is an essential aspect of marriage and must not to be withheld or ignored. It was ordained by Yahweh and should not be viewed negatively but as something sacred within the marital covenant. Remaining faithful. Since intimacy is a sacred aspect within marriage, it’s crucial that we honor our commitment by remaining faithful to our spouse. Those who defraud their spouse through adultery will be judged by Yahweh Himself. Till death do us part. Marriage was established by Yahweh between one man and one woman as a lifelong union. The commitment to marriage is only secondary to baptism. 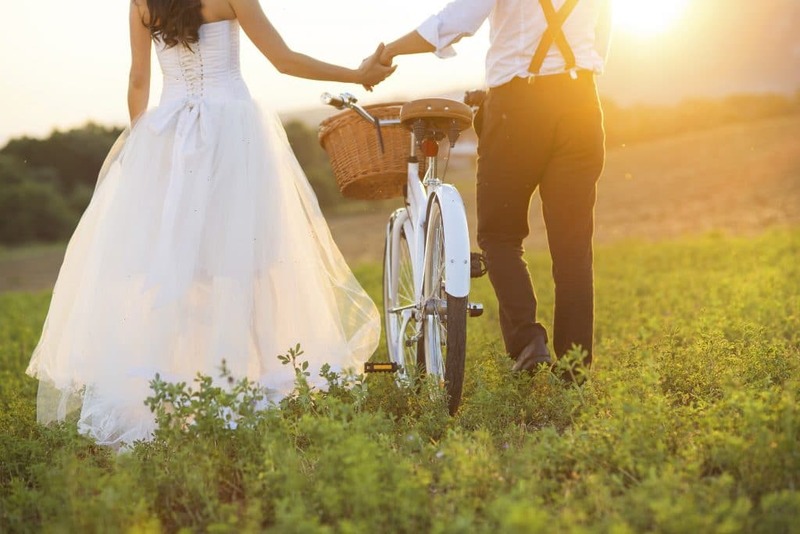 Since the New Testament only permits re-marriage after the passing of our spouse, it’s crucial that spouses do everything within their power to honor this commitment. A marriage will experience blessings beyond most when these keys are followed. You will have greater love and less conflict. While many of these principles are simple to understand, they are much harder to implement. However, those who successfully apply them to their relationships will have a far greater and rewarding marriage. It is our hope that all who read this booklet will seriously consider each point offered and endeavor to live by each one for the honor and glory of Yahweh.